Home Unlabelled [Video]- Austin Rogerz "Safe To Say"
[Video]- Austin Rogerz "Safe To Say"
Austin Ayo A.k.a. 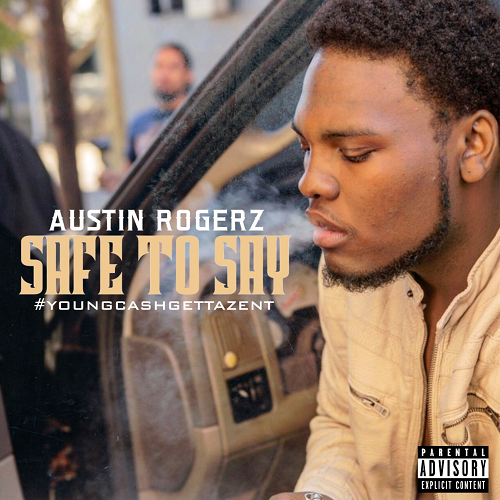 Austin Rogerz is a 21 yr old hip hop musician born and raised in Louisville, ky. He grew up on 32nd west Kentucky street in the west end of Louisville for the most part of his childhood where the violence was out of hand exposing him to see a lot of things at a young age. He started rapping at the age of 10 but was also into football, but being in and out of house studios with his older siblings and friends helped elevate his sound, which created his passion for music. As a senior in high school he started getting into a lot of trouble , with his parents being divorced his mom was forced to raise him alone. Knowing that his mom not wasn't able to provide the extra cash he needed to get the things he wanted as a teen he started breaking in cars to come up with extra money eventually leading him to be caught by police when released to his mother she sent him to live with his dad. He started getting into altercations with rivals in and out of his high school . having problems with enemy's in school caused him to drop his first mixtape in high school stack or starve only heard by classmates dissing his rivals on every track . the mixtape encouraged him to push his music career, once the football dream didn't work out he started recording in professional studios , doing local shows at local clubs , and building his image getting into fights and other situations experiencing things that opened his eyes to real life made him the man he is today. He started working at cardinal shower a glass company where he ran into a man named Harold Richards , after a year and a half Harold Richards became his manager putting the money behind his music to get him the exposure he needed which opened a lot of doors for his music he then elevated his sound to another level creating the single safe to say which changed his sound of music for the better sending a positive message through his music telling his everyday struggles to shape the mind of the generations that are listening to do better , be themselves and focus on the things that are truly important in life.